Does Cohn's Exit Mark End of Trump's Goldman Era? - Integration Through Media ....! 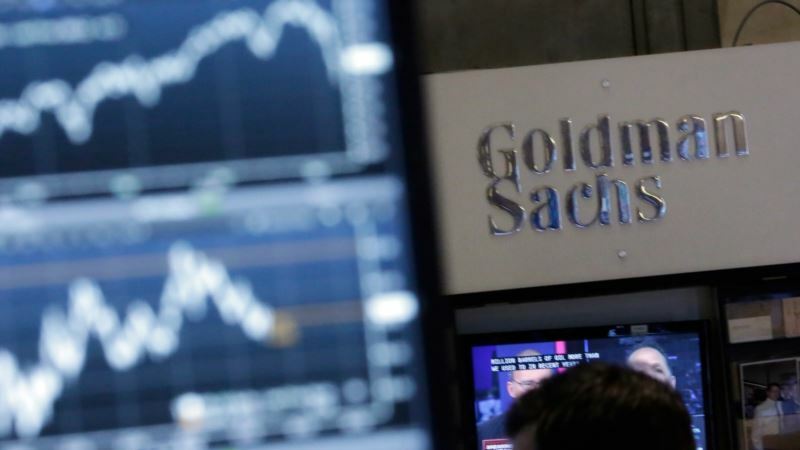 (VOA): Has President Donald Trump's romance with the Goldman Sachs crowd gone cold? Top economic adviser Gary Cohn is only the latest Goldman figure to head for the White House exits, suggesting the influence of the oh-so-establishment banking powerhouse has been overwhelmed by the more nationalistic voices in the West Wing. Cohn, Goldman's former president, announced his resignation this week after an unsuccessful effort to block Trump from imposing sweeping new tariffs on steel and aluminum imports. Trump threw Cohn a laurel on the way out, saying, "He may be a globalist, but I still like him." But there was plenty of skepticism about Trump's relationship with the big-name bank from the start. "I think we all knew this was coming to an end someday," said Barry Bennett, a former Trump campaign aide. It's not that Trump's views have changed, Bennett added, but that "people gave up trying to change him." Cohn is the fourth high-profile Goldman alumni to leave the administration. He was preceded earlier this year by Dina Powell, former deputy national security adviser, who is returning to Goldman. In August, onetime chief strategist Steve Bannon said farewell. And in July, after just 11 days as communications director, Anthony Scaramucci was out the door. That leaves Treasury Secretary Steven Mnuchin as the last Goldman veteran holding a top administration job. Of course, handing big jobs to Goldman alumni is an Oval Office tradition. The influential bank has produced Treasury secretaries, White House chiefs of staff and top economic advisers in both Republican and Democratic administrations. But Trump's reliance on Goldman talent was a surprise to some, given his anti-Wall Street, drain-the-swamp campaign rhetoric. On the campaign trail, Trump suggested Wall Street was getting "away with murder." He argued that he would not be beholden to bankers, saying that Democrat Hillary Clinton's ties to the industry meant that she'd never advance financial reform. And he promoted himself as a champion for the "forgotten men and women" left behind in a growing economy. Trump also specifically attacked his opponents over their ties to Goldman, lambasting rival Ted Cruz because the senator's wife worked for the bank. He slammed Clinton for taking big speaking fees from the firm. "I know the guys at Goldman Sachs. They have total, total control over him," Trump said of Cruz. "Just like they have total control over Hillary Clinton." But, for all that, Trump seemed to enjoy the prestige of hiring Goldman talent, says William Cohan, author of Money and Power: How Goldman Sachs Came to Rule the World. "I think Donald Trump wanted these Goldman people as a way to stroke his own ego. Don't forget that Goldman never wanted to do business with Donald Trump," Cohan said. "It was a way for [Trump] to say 'Ha, ha, now I've got some of your best people working for me."' Goldman CEO Lloyd Blankfein said in Vanity Fair last year that he found the hires "validating." He added that as Trump was "looking for good people, it happens that a lot of them had Goldman Sachs affiliations. It makes me feel good that he sees in those people the same thing I see in those people." Tariff plans So far, Trump's presidency has been good for Goldman and other major banks. Since taking office, Trump's main legislative achievement was a $1.5 trillion tax cut applauded by Wall Street. Cohn and Mnuchin were deeply involved in that process and Cohn stayed in the administration to work on it, after he was upset by the president's comments about the racial violence in Charlottesville last August. But Wall Street has been appalled with Trump tariff plans, hastily announced last week without full details and prompting worries of a trade war that could undermine the benefits of the tax cut. Cohn's departure has raised concerns about who within the White House will seek to temper Trump's nationalistic instincts. Cohn was viewed as a moderating, pro-business voice in the West Wing. He accompanied Trump to an annual global financial meeting in Davos earlier this year and sought to reassure financial markets that the administration's "America first" rhetoric does not mean "America alone." Blankfein weighed in on Twitter saying: "Gary Cohn deserves credit for serving his country in a first class way. I'm sure I join many others who are disappointed to see him leave." Looking forward, it's not clear if more Goldman veterans will come inside. Said Cohan: "I think Trump has played his Goldman card." Trump said Cohn might come back to the White House, but added: "I don't know if I can put him in the same position though — he's not quite as strong on those tariffs as we want him to be."